The printable, embeddable, shareable guide is easy-to-use and mobile-friendly, and now is available in Spanish. The Covered California marketplace is now open for business. As part of its public service mission, KQED is committed to providing all Californians with the resources they need to make informed decisions around their health insurance choices. KQED’s popular guide Obamacare Explained: A Guide for Californians has the most current information available from Covered California for individuals, families, small business owners and immigrants. The thousand-page Affordable Care Act covers a lot of ground and KQED’s straightforward guide explains the new health insurance choices offered in California with clear instructions on how to compare the different options. It also explains how federal tax credits work and helps you determine your own eligibility. The guide will continue to be updated by KQED News health editors as more information is made available by Covered California. 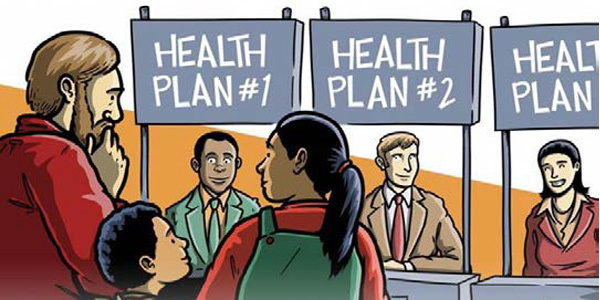 The non-partisan and unbiased guide, which has already received more than 90,000 page views, is easy-to-use, printable and mobile-friendly, and is available free of charge for other outlets to embed and share at kqed.org/obamacare. Obamacare Explained is also available in Spanish at kqed.org/obamacareexplicado. KQED serves the people of Northern California with a public-supported alternative to commercial media. Home to the most listened-to public radio station in the nation, one of the highest rated public television services and a leader in interactive technology, KQED takes people of all ages on journeys of exploration — exposing them to new people, places and ideas. While other news organizations have shrunk, KQED has expanded its efforts to cover the issues and events that are important to the Bay Area. As the most trusted source of news in the Bay Area, KQED News is now a multiplatform operation with offices and bureaus in San Francisco, San Jose, Sacramento, Fresno and Los Angeles. KQED News offerings on television, radio and online include KQED NEWSROOM, current affairs specials produced in collaboration with The Center for Investigative Reporting, The California Report, Forum with Michael Krasny, 18 news broadcasts on KQED Public Radio, daily and the popular blogs News Fix, State of Health, Mindshift and The Lowdown. Stories from all KQED news programs are featured online at KQEDnews.org.